Big Sandy 12/24/12 - - - 8 messages. Showing 1 through 8. It was time for me to get out and spend some time on what I consider my home waters. I was finally off to McGregor! 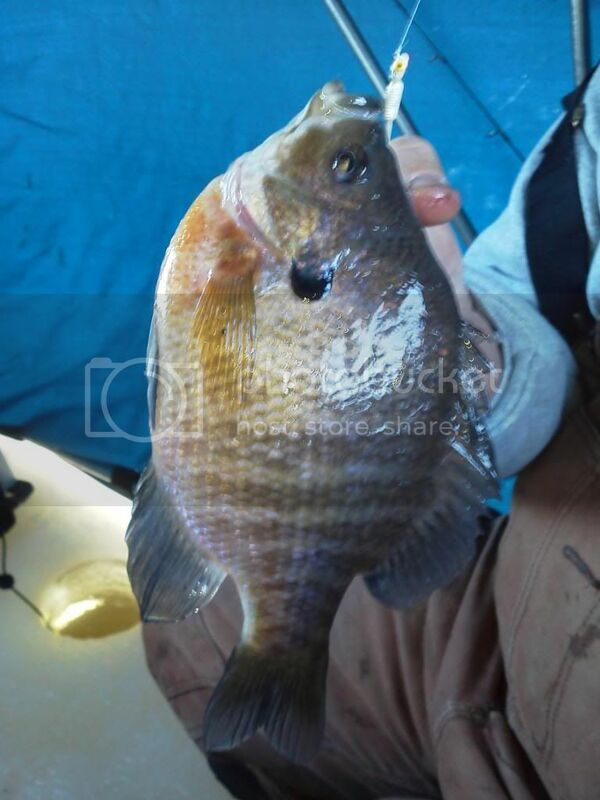 I love that Big Sandy area and the panfish are a mere bonus to the trip. 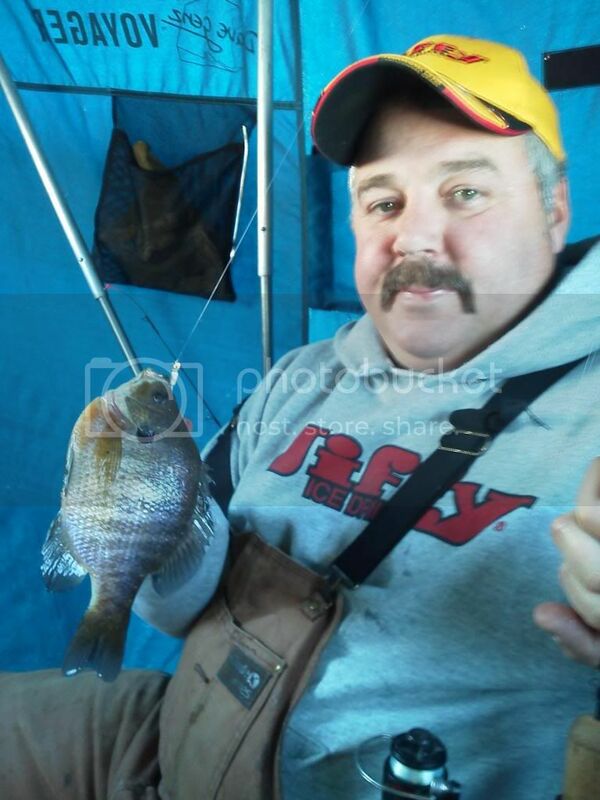 On this trip we decided to head for the bush and drum up some sunfish and crappies. Lines were finally set and we were fishing around the 8:00am mark. The wind had a pretty good howl to it so we were locked down in the ice house. We were in about 16 to 18 fow and started with hair jigs. My partner in crime landed two nice crappies one after another. There was no shortage of fish running to the jig eyeing it and backing off. It was tough to break one from the pack but if you could it would hit. I was back on the Custom Jigs and Spins kick. I cant say enough about there lures. I used the Gill Pill and  1/8th oz Slender Spoon. As you can see in the pictures I would tip them with some Berkley power bait. Anything small with a tail works well. Should be able to make another round this weekend and get some kids out. Enjoy the pics! 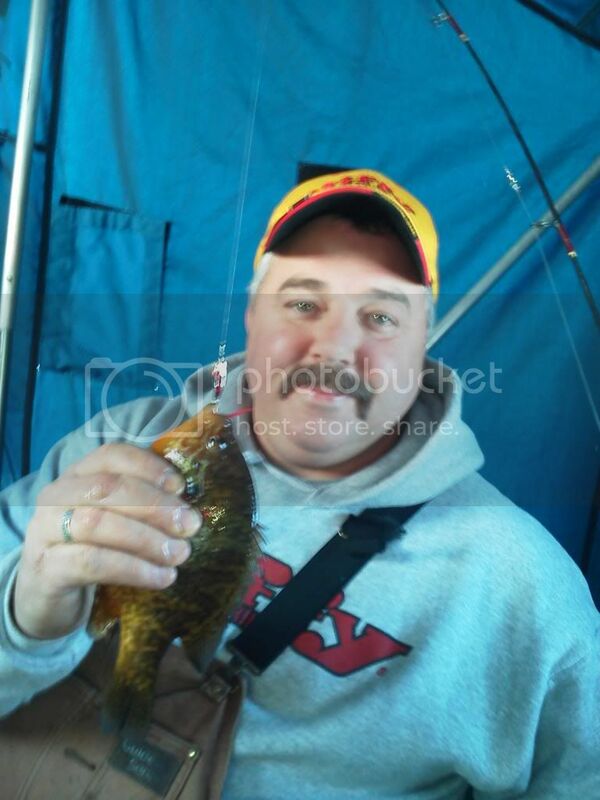 SandBurr, any walleyes or whitefish on Big Sandy this winter? This is my first winter on the ice of Big Sandy, tried a couple spots in Bell Horn bay but no luck yet. Any advice would be appreciated. The flooding is going to have an impact this year for sure. I have not heard of any whitefish yet and have seen a few walleyes coming from the main basin. recon this weekend on the north end of Bell Horn, a few crappie, walleye, pike, and one pout pulled through the ice, lots of houses/tents this weekend but poor results considering the numbers out on the ice. I didn't drop a line. Friend told me the Tulibee would be up by the dam in a few weeks, is that where I should target? Wait for warm weather and snow/ice run off. Thats when the come to feed. I wouldnt be surprised to see them late Feb. to March.